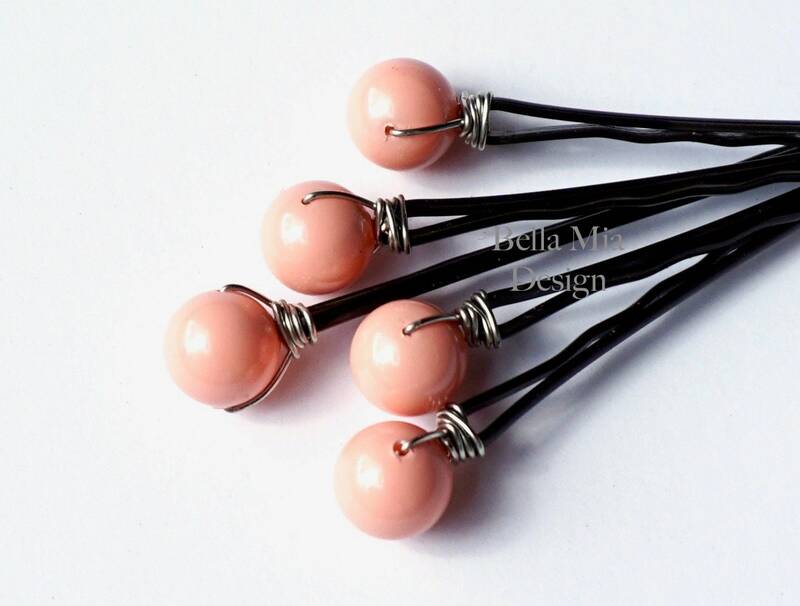 Lovely hair pins set in a pretty light pink coral color. These are from Swarovski's line of gemstone-look pearls. Pink Coral crystal pearls are opaque with the rich color of polished natural coral. (5) Hair Pins - your choice of 10mm beads, slightly smaller 8mm beads, or a mix. 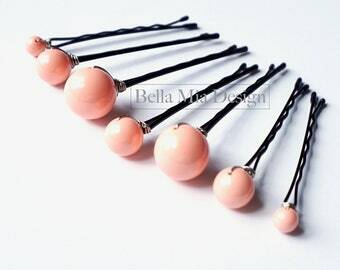 Select your bobby pin and wire colors during checkout.